Edlapalli is a Village in Guntur district in Andhra pradesh, India with a population of 9000 and 2500 households approximately. It is simply a beautiful blend of tradition and modernity. Our village is surrounded with beautiful agricultural landscapes all around. Edlapalli is 22 km far from its District Main City Guntur. It is 300 km far from its State Main City Hyderabad. 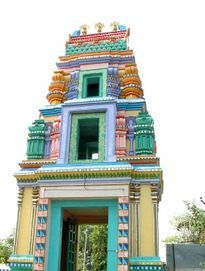 Nearest Towns are Tenali (8 km), Ponnur(9.7 km).